Home > Surgery > Plastic and Cosmetic Surgery: What's the Difference? A great number of people mistakenly assume that plastic surgery and cosmetic surgery are the same thing. Specific treatments and procedures do fall under the remit of plastic surgeons or cosmetic surgeons. Anyone who is considering changing or enhancing their appearance should not get in contact with a plastic surgeon. Cosmetic surgery, as the name suggests, concerns invasive or non invasive procedures designed to make a person more attractive and improve self-esteem and confidence. Plastic surgery usually concerns reconstructive surgery to body or facial areas that have undergone some form of trauma or have been defective since birth. Breast implants, anti-ageing procedures and liposuction come under the domain of the cosmetic surgeon. 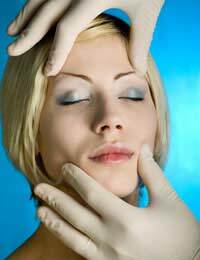 Surgery such as facial reconstruction after a car accident would be undertaken by plastic surgeons. In some cases there may be an overlap of plastic and cosmetic surgery, depending on why the medical procedure is taking place. Rhinoplasty or nose reshaping can be undertaken to both improve appearance and correct defects such as breathing problems. A person who has undergone breast cancer may need reconstructive breast surgery known as breast augmentation to reshape the breast. Although plastic and cosmetic surgery does have similar aspects the actual need for the surgery does differ. This is one of the reasons why most health insurance policies will not cover cosmetic surgery. Another significant difference between cosmetic and plastic surgery is that most cosmetic treatments will not be covered by medical insurance policies. Most cosmetic treatments are elective; the decision is entirely up to the patient and is not urgent, and in some cases not necessary. Although rare, there are certain cases when cosmetic surgery may be available through the National Health Service. If a body part is having a long term detrimental affect on mental health or confidence a doctor may refer a patient for surgery. Plastic surgery is sometimes used to give the body part a more ‘normal’ appearance and this could be a reason for a referral by a doctor. Those considering cosmetic surgery should be aware of the difference between plastic and cosmetic surgeons. It may be the case that some treatments will actually be covered through medical insurance if they do fall under the remit of a plastic surgeon. Consulting with your own doctor will be beneficial and it could turn out that a doctor’s referral for surgery may be warranted. Those who are undertaking cosmetic surgery of any kind should ensure that they choose fully qualified, registered cosmetic surgeons. If travelling abroad for cosmetic surgery always check that the surgeon is licensed to practice and registered on the country’s medical register.